Sterling Silver Moss Agate Necklace. See Closeup. 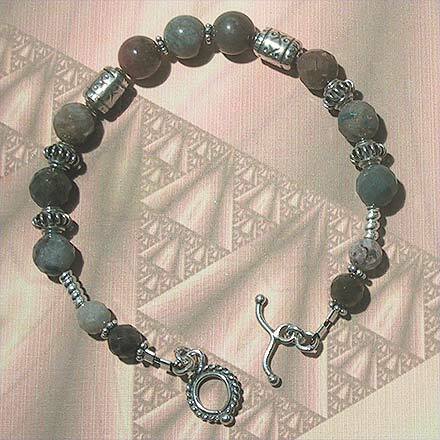 Sterling Silver Moss Agate Bracelet. 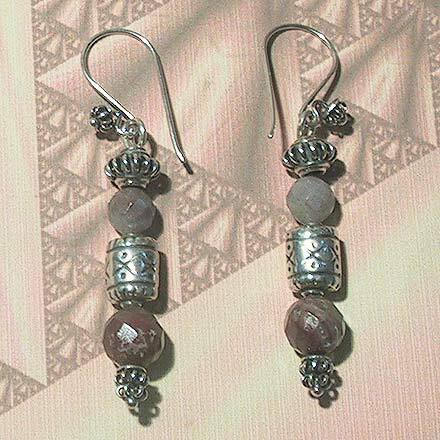 Sterling Silver Moss Agate Earrings. 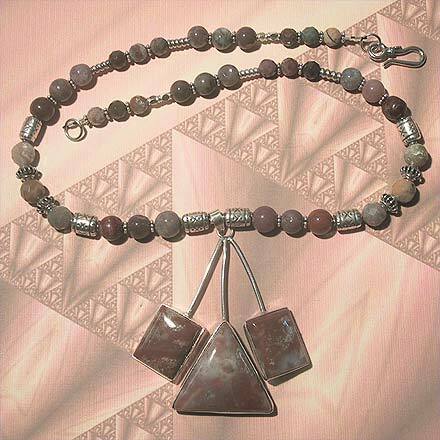 The faceted beads and unusual 2½" pendant are a variety of Moss Agate, but with much more red. 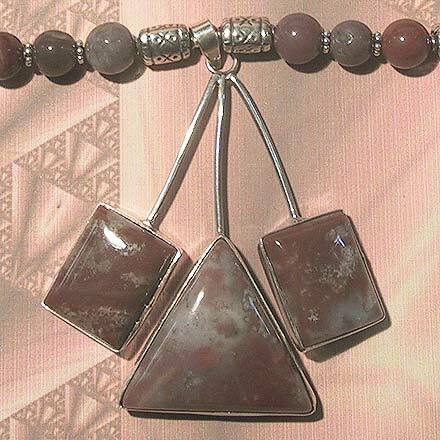 Almost completely opaque, it is almost like a form of Fancy Jasper. The necklace is 18" and the matching bracelet is 7¾".